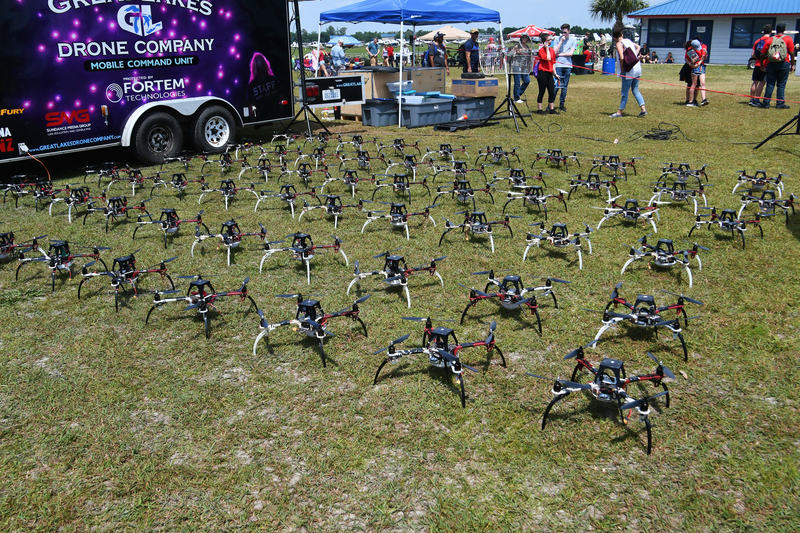 Sun-N-Fun is a monumental aviation affair that takes place in Lakeland, FL. annually every April. It hosts hundreds ( literally ) of planes that attend this huge fly-in. The whole affair lasts almost a week and offers more to do and see than you can imagine. Over three days, I shot around 2,000 images. Here's a peek at a few. This stunning P-40 was wearing its Flying Tiger dress. At the beginning of WW II, it was our nation's primary fighter airplane. Newer designs, however, relegated it to a support role is most combat areas. They were offering rides in this plane: $400 for about an 8 minute flight, topping out at $2800 for a full hour. I didn't see them getting much action. This is one really rare airplane. The P-51 Mustang is perhaps the most storied fighter of WW II. 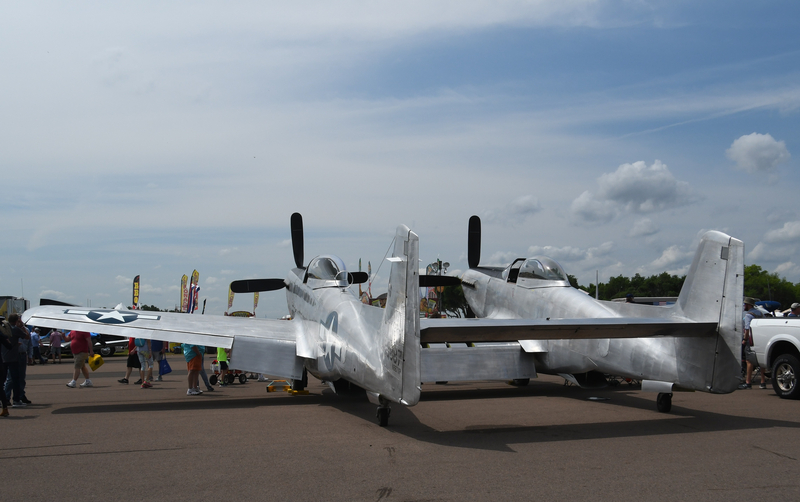 However, even some aviation enthusiasts don't know that they made a twin-fuselage version of the P-51. There were very few made and I was told that this one is the only flyable one remaining. Shooting at events like this can be exceedingly frustrating. This such a rare plane, though, that I tried to give you as good a look at it as I could. I hope JonaBeth doesn't see this scene and faint from sensory overload. Thanks for sharing Tom! Wow about that P51. What inspired the design? Siamese twins? Hey, buddy. 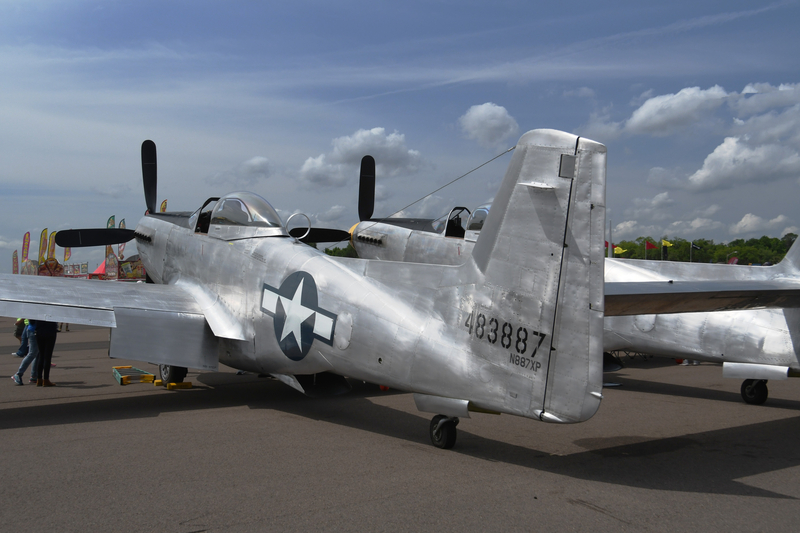 That twin Mustang was officially designated the P-82. The main design goal for this plane was to provide for a greater range of action ( exceeding 2000 miles ) at higher altitudes ( over 40,000 feet ) than contemporary fighter aircraft. 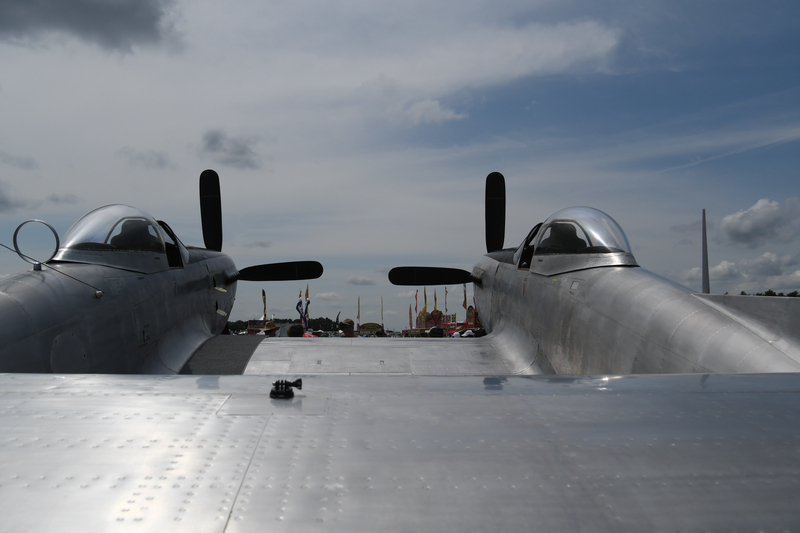 The twin fuselages were slightly longer than those of the P-51 to accommodate more fuel for the longer missions. Despite its rather ungainly appearance, this plane was a very agile fighter with a top speed of about 500 mph. WW II ended before the P-82 saw much action. However, it played a big roll during the initial stages of the Korean War. It eventually gave way to the advent of the jet plane alternatives. Initially, the P-82 was flown by two pilots....one in each fuselage....so they could share duties on really long missions. Eventually the right side cockpit was dedicated to use by a radar operator and the sole pilot flew it from the left fuselage. I think a couple more of these rare birds may be in a restoration process. Wow Tom that is some awesome info! I like this plane now.....cheers! Hey, buddy. That twin Mustang was officially designated the P-82. The main design goal for this plane was to provide for a greater range of action ( exceeding 2000 miles ) at higher altitudes ( over 40,000 feet ) than contemporary aircraft. 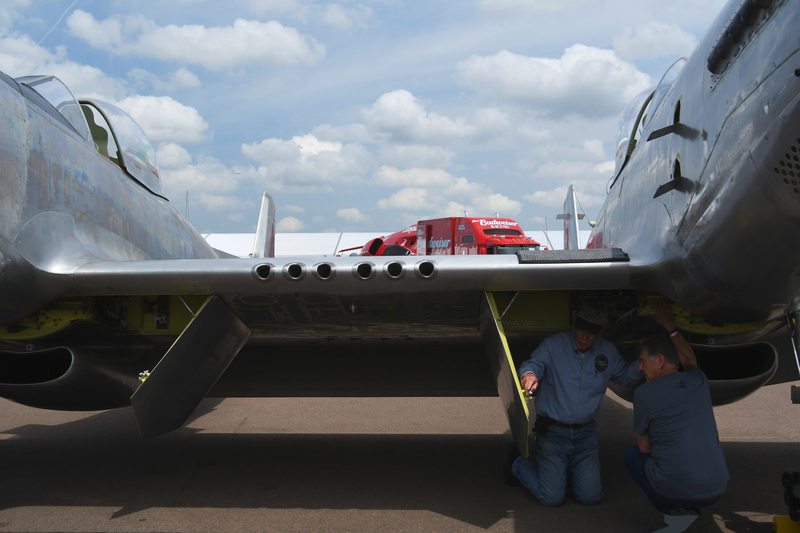 The twin fuselages were slightly longer than those of the P-51 to accommodate more fuel for the longer missions. 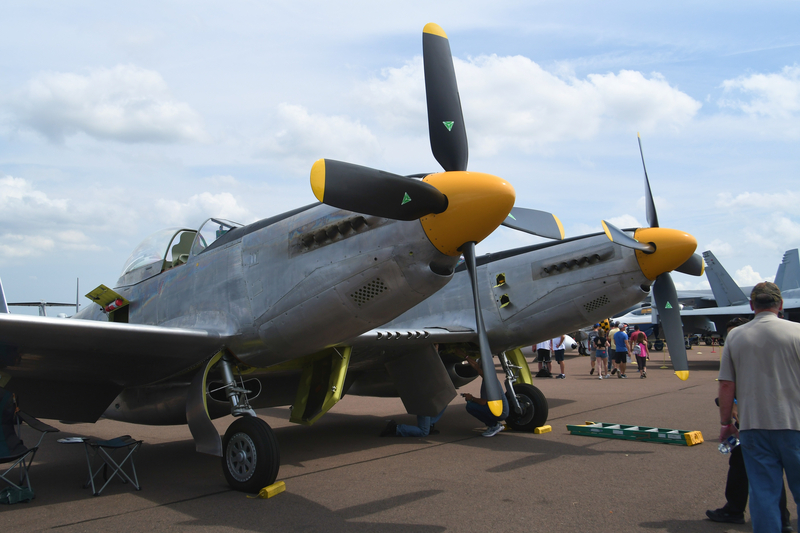 Despite its rather ungainly appearance, this plane was a very agile fighter with a top speed of about 500 mph. WW II ended before the P-82 saw much action. However, it played a big roll during the initial stages of the Korean War. It eventually gave way to the advent of the jet plane alternatives. Initially, the P-82 was flown by two pilots....one in each fuselage....so they could share duties on really long missions. Eventually the right side cockpit was dedicated to use by a radar operator and the sole pilot flew it from the left fuselage. I think a couple more of these rare birds may be in a restoration process. Interesting Tom, cool shots too! Thanks. I hope you're doing well, my friend..
Great shots, Tom! Thanks for sharing those. I need to get down there one of these days. I think that P-82 just recently returned to flight after a long restoration. 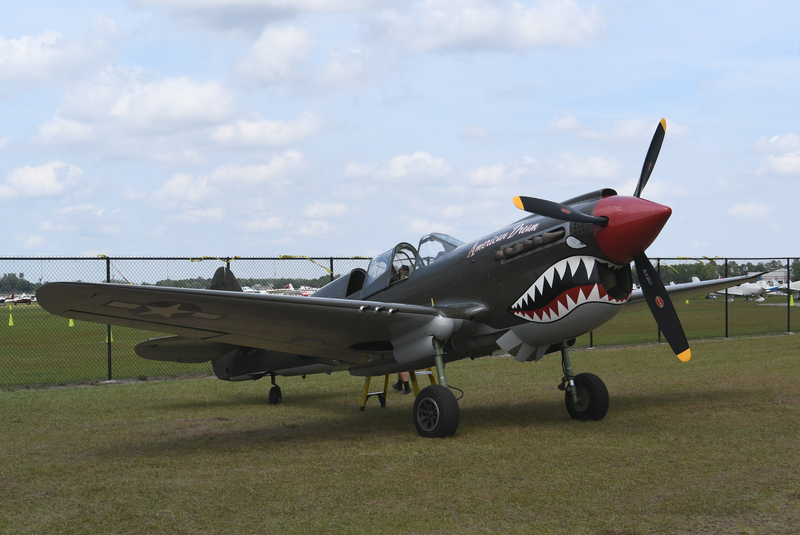 I know the guy who owns the P-40, he comes up to Long Island and flies our museum's P-40 as well. Good to hear from you, John. I remember seeing several P-82's sitting at an airfield in Knoxville, TN in 1948. I was already smitten with aviation at an early age. The one at the show was the first one I've seen since then. Kudos to the guy who owns that P-40. It's really well done. That P62 is pretty cool, Tom. My engineer's eye guesses it will fly but not be very agile......shows you what I know. I love this stuff! 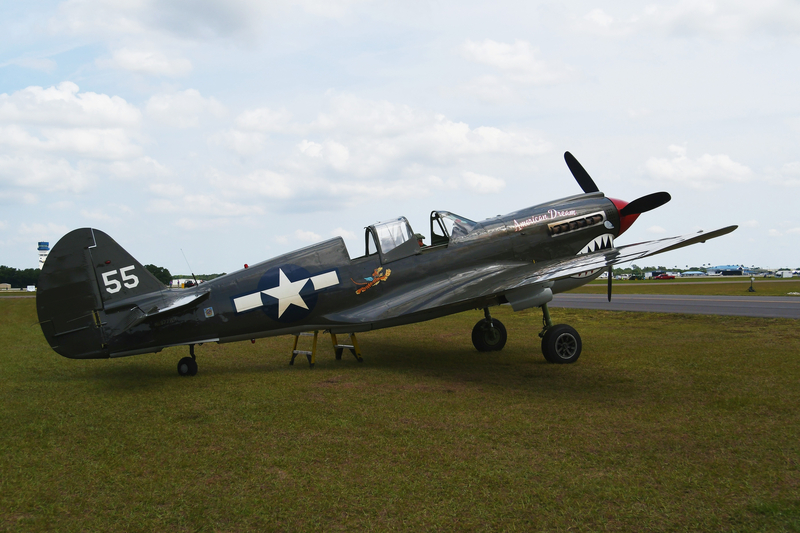 I think I have seen that same P-40 at another air show. The name seems familiar--I will have to dig out my shots and see if I can find it. Always enjoy your car and plane collections with their stories! Hey, guy. I would have thought that the agility of the the P-82 would have approximated that of the other more famous twin-boom fighter in WW II, the P-38 Lightning. I've been looking for a direct comparison of the flight characteristics between the two planes but haven't turned anything up yet. Happy Easter, Lauren. I think that P-40 gets around quite a bit. As stated above, John says that it ocassionally frequents a facility he's associated with. I'm really happy to share my experiences at the major car and plane shows that I go to.